BCN Taste & Tradition in Houston, Texas is one of the latest fine dining additions to the Houston dining scene and pays homage to the very best of Spanish cooking. The restaurant is named for the airport code of Barcelona, the birthplace of chef Luis Roger, who began cooking as a child under the guidance of his grandmother. Finding love of cooking at such a young age led him to study at the Spanish culinary school, Escola d’Hostaleria Hofmann and a 20-year career as a chef that has included stints at the esteemed El Bulli. Today, Roger’s menu at BCN Taste & Tradition brings together all of his culinary experiences and takes the diner on an explosive journey that blends tradition with the latest culinary techniques. Many of the ingredients are imported from Spain to uphold the essence of a true Spanish experience. Located in a 1920s house in the beautiful artsy residential area of Montrose, BCN Taste & Tradition is discretely tucked away on a street corner. The décor is elegant but understated with a softly spoken colour scheme of sand-and-white. There are original works by greats Miro and Picasso on the walls to uphold he Spanish theme. 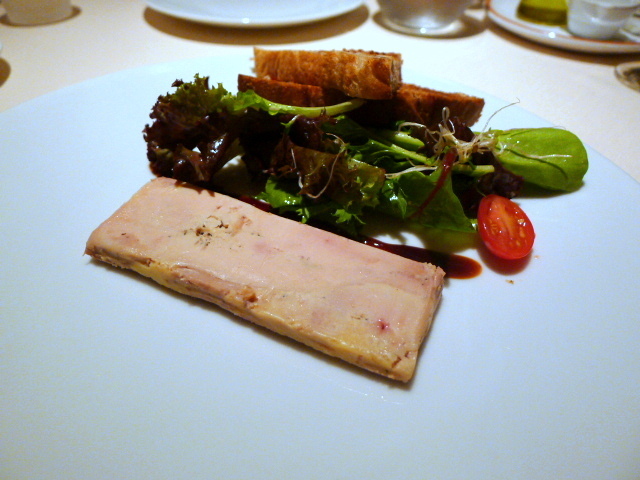 BCN Taste & Tradition’s exploration of Spanish delights begins with appetisers including the likes of a beautifully smooth and rich home made foie gras terrine ($22) accompanied by a lightly dressed side salad. Also delightful was a poached quail egg ($16), our dish of the evening which was perfectly cooked with a runny yolk. 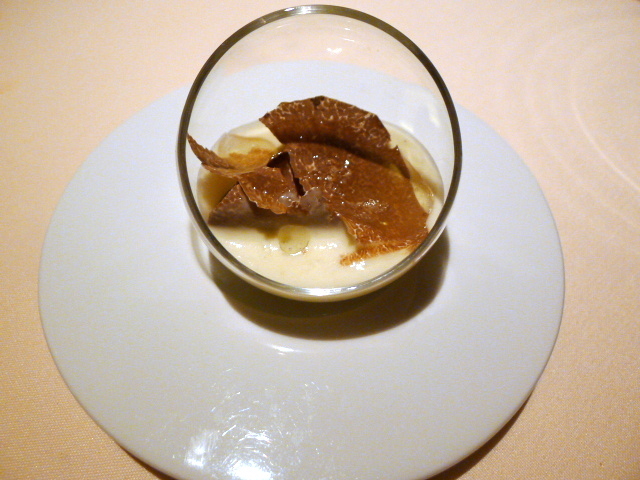 A dream to eat, it was immersed in a wonderful smooth potato foam and a topping of seasonal truffle. Seafood dishes such as a mussel casserole ($14) with a leek velouté and cured Spanish Ibérico ham was heavenly, with the smokiness of the ham providing a wonderful, slightly charred flavour to the dish. 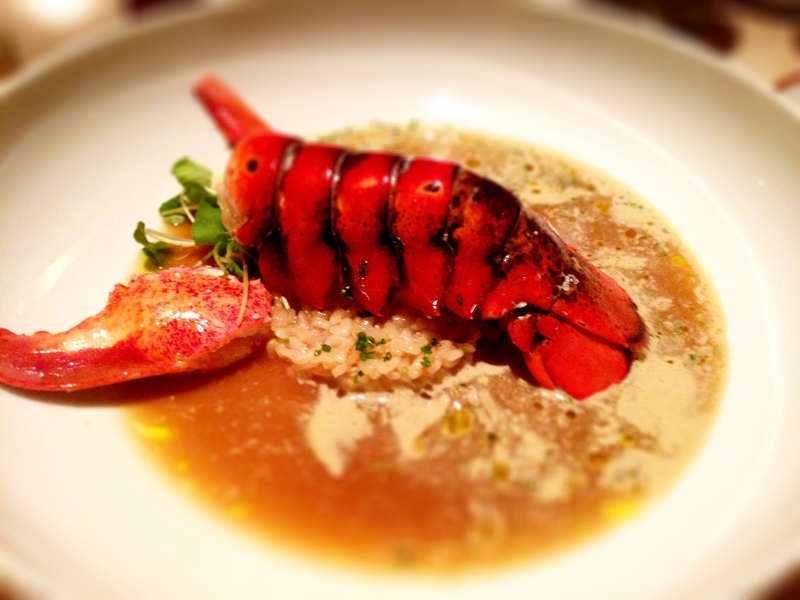 A lobster bouillabaisse ($38) with rice was also stunning. The lobster was firm and moist, and an accompanying broth was sweet and deep with a flavour of the sea. 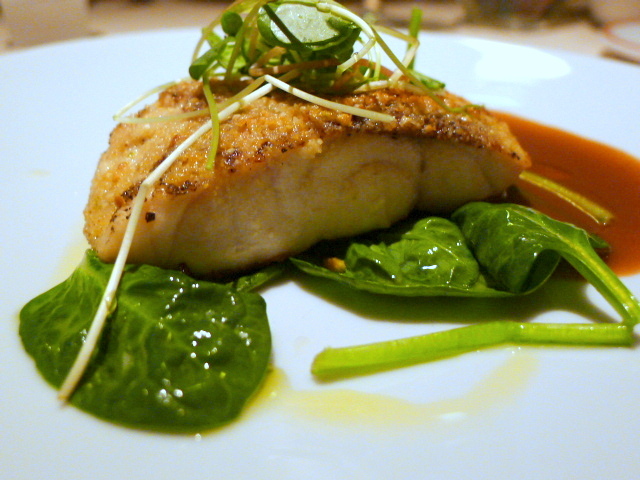 Wild caught branzino sea bass ($48) with an almond gratin topping, pistachios and butter spinach was pleasant. The fish was slightly grainy however, but the earthiness of a turnip sauce worked well to bring the dish together. 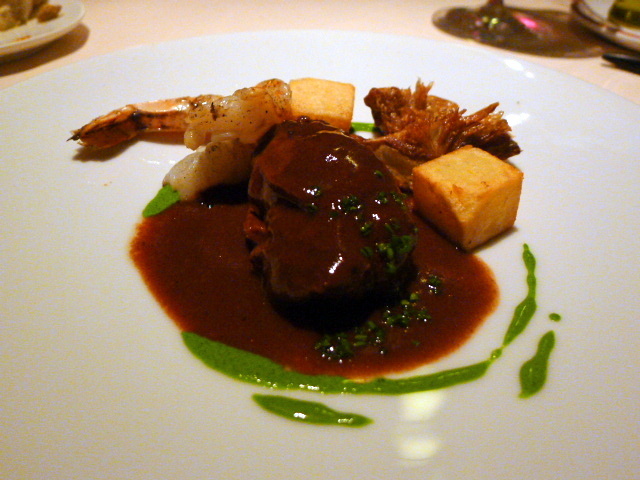 Meats included the likes of stewed pork cheeks ($35) in a merlot ragout with sautéed artichokes and prawns. The pork cheeks were lovely and soft, richly enhanced by the ragout and the wonderful crunchiness of the artichokes. Desserts were faultlessly executed with an icy and fresh pineapple soup ($10) being topped with an aromatic coconut foam. A two-textured chocolate cake ($10) consisting of a layer of cake and ganache was delicious, but could have done with some crème fraiche to help cut through the richness. BCN Taste & Tradition did an exemplary job of dishing out the best that Spanish fine dining has to offer, with food that was restrained, refined and elegant. It was a pleasure to eat, and the excellent service also rounded of an altogether wonderful experience. Prices: $56 to $85 for three courses, excludes taxes, drinks and service.